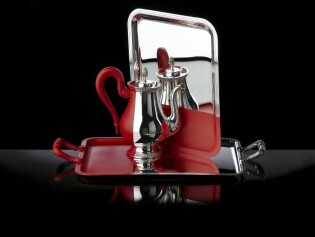 Traditional Christofle silverware dipped into caoutchouc. The project confronts the carefully handcrafted silverware with an industrial process. The idea was to find a practical solution to the problem of anodysation of time. Project made at ECAL.